English language trailers for the acclaimed Belgian black comedy have arrived. 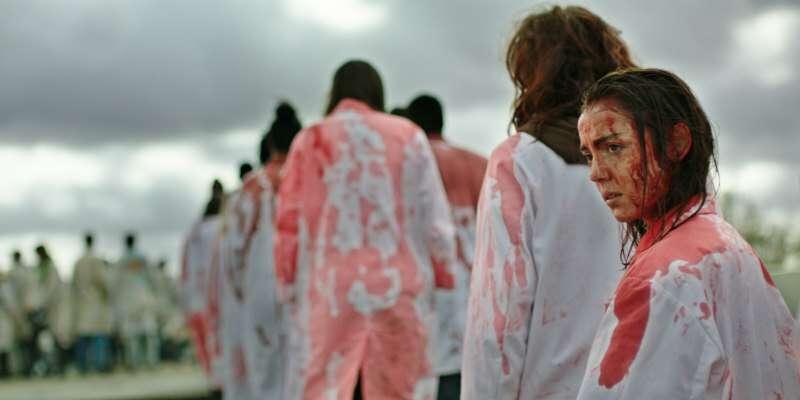 We caught Raw at a festival screening last year and instantly fell in love with director Julia Ducournau's blackly comic cannibal tale, ultimately naming it the fifth best movie of 2016, the year's best movie directed by a woman, and one of 2016's best directorial debuts. Yes, we like it quite a bit! With releases in both UK/ROI (April 7th) and US (March 10th) cinemas coming soon, a trio of English language trailers have dropped. Everyone in Justine’s family is a vet. And a vegetarian. At 16, she’s a brilliant and promising student. When she starts at veterinary school, she enters a decadent, merciless and dangerously seductive world. During the first week of hazing rituals, desperate to fit in whatever the cost, she strays from her family principles when she eats raw meat for the first time.